I hope you were able to get out and enjoy Easter in the sunshine, or volunteer to restore parks or clean beaches. So many activities to choose from on Earth Day and all of them good for your body and soul. Let’s thank our student ambassadors who are hosting assemblies, cleanups or fairs this week. Some of them organize fundraisers to plant trees though Earth Day Network, or Plant-For-The-Planet, a great way to get 150 trees planted where they are needed most, in poor countries and neighborhoods that rely on trees not concrete. Of course you can donate to plant a tree any day of the year, but inspiring people to donate today makes a big difference. Today let’s also celebrate the delay on a decision for Keystone XL. Over 2 million people submitted comments to the State Dept. People power works, as long as we keep up and keep growing. Let’s work against all the other pipelines and trains coming out of the tar sands. It’s crazy to think that you and me are the only thing stopping corporations and governments from poisoning unchecked the world our children will inherit. But it’s true, so let’s get to work. And remember to sign up for next Sunday’s teach-in at Seattle U,… you can hear the ambassadors speak! 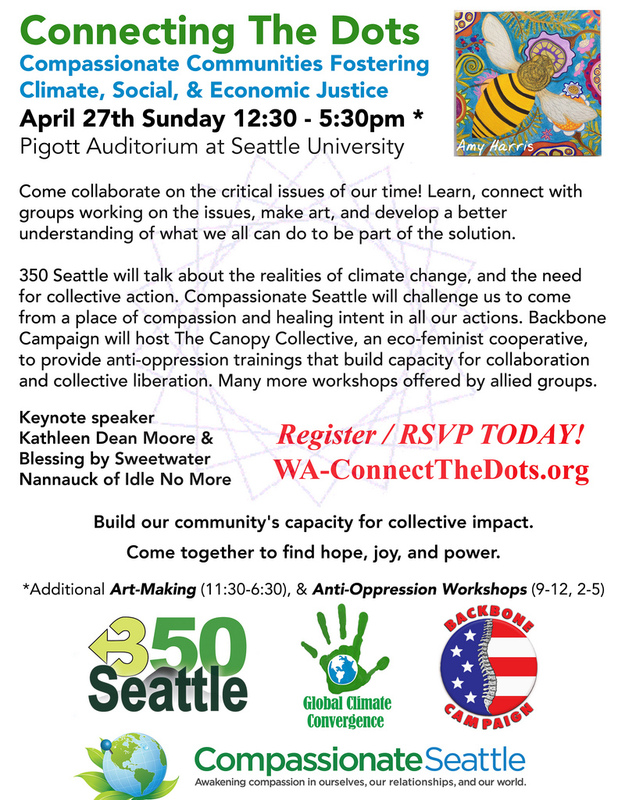 Posted on April 20, 2014 by fostertudePosted in Calls to Action, For Parents, How to Get Involved, Kid Activism, Local Events, Things You Can Do, UncategorizedTagged Climate convergence, Climate Justice Ambassadors, Earth Day, Seattle U.